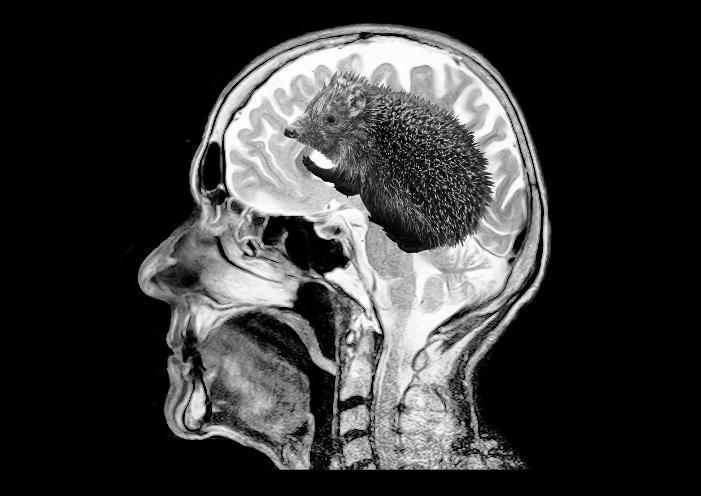 Imagine finding out there is a hedgehog in your brain. Headhog is the story of someone who makes just such a discovery and struggles to deal with the consequences. A rehearsed reading of the play was performed at Actors and Writers London (AWL) on 24th September 2018. An opening extract was performed by Metamorph Theatre at the Arcola Theatre on 8th July 2018. The full play was shortlisted in 2018 by the Talos Science Fiction Theatre Festival, Ink or Swim, Kibo Productions, Radius Theatre, WriteOn and The Write Hour Podcast, and longlisted in 2019 by Free Spirit Theatre. It was performed by Primal Theatre at Barons Court Theatre, London, in February 2019, and was given a rehearsed reading by WriteOn at ADC Theatre, Cambridge, on 11th April 2019. Headhog will be workshopped in 2019 by Southwest Theatre Productions in Austin, Texas. It will be staged by Beacon Productions at the Edinburgh Fringe Festival from12th-17th August 2019. Nadia Ostacchini and Ben Owora in a reading of Headhog at AWL Photo by Paddy Gormley.